Geeks, wear your geekdom more proudly: in rubbery casing on your gadgets as well as in your heart. 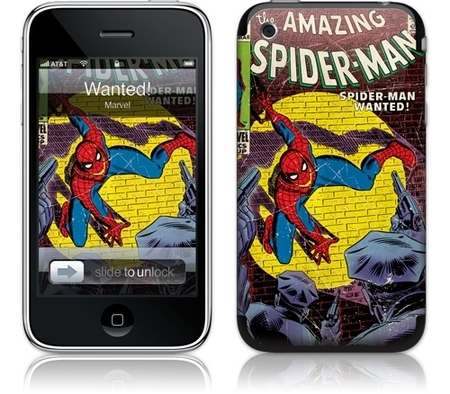 Pull a tight Spiderman gelaskin over your iPhone or Pod and bring some superhero to your smartphone. 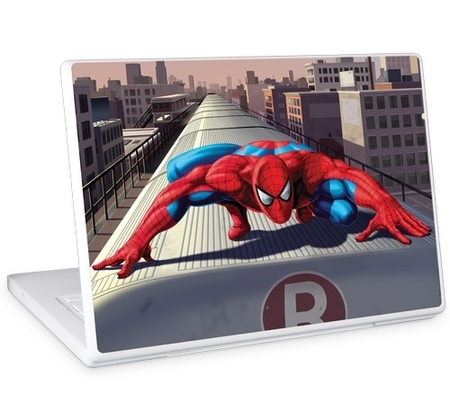 Marvel have teamed up with GelaSkins using the legendary comic art to bring high-drama, sharp-coloured and quintessentially Marvell skins to Apple’s tech. 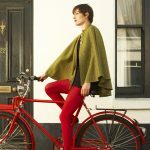 Knowing how tight Marvell are about copyright to their images, this is a coup for Gelaskins. 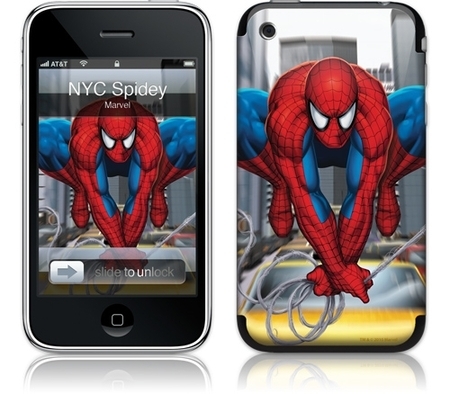 Here’s a Spiderman beauty shot for the laydeez… check those forearms out hey. Fans are demanding Captain America, Wonder Woman on the comments section. Purchase of a skin brings full access to the GelaSkins wallpaper archive letting you co-ordinate the background to match the skin too.